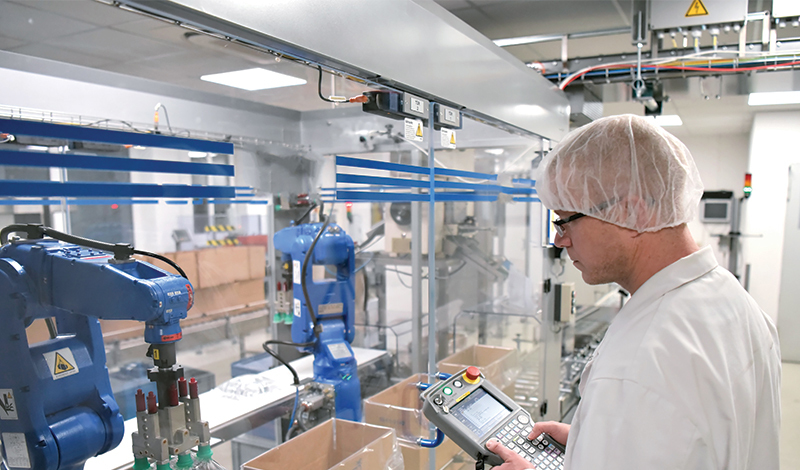 As integral as throughput is when it comes to meeting production needs, there is no single answer for improving throughput, especially across different deposition methods. With both evaporation and magnetron sputtering, there are a number of factors you need to consider in order to raise your total throughput. With a compatible sputtering system, one of the simplest ways to immediately increase throughput is to add a front end to the process module. Different front-end options include a single wafer load lock, which loads one wafer at a time; a cassette load lock, which automatically loads a cassette full of wafers; and a cluster tool, which generally consists of two load locks and multiple chambers. These front-end options provide more efficient ways of pumping down, because you don’t need to pump down the entire system or sputtering chamber. You can just pump down the load lock (or, in the case of a cluster tool, both load locks), which is much faster than pumping down the chambers. Because of the automation involved, cassette load locks and cluster tools also help to load the sputtering module more efficiently. Particularly for multilayer processes, this cuts back on production time and raises your throughput. Typically, a single chamber with a load lock can coat up to 24 wafers per hour, and a cluster architecture can coat 2.5 times that per module. This is often an ideal way to meet demand in high-volume manufacturing. Often, engineers or manufacturers using an e-beam evaporation or thermal evaporation system are concerned with batch size, as a bigger batch size goes hand in hand with an increased throughput. However, simply increasing batch size is not always the best way to optimize your system for throughput. You can increase batch size by implementing a larger chamber for your system, but a larger pump is then needed. A large pump and a large chamber will give you a higher throughput, but your pump down time may also increase. This also comes at the expense of a larger footprint and capital (no surprise). In order to increase total production, it may be more effective to utilize a smaller system with a large pump, for faster pump down times and a smaller footprint. You may find two smaller systems provides better throughput, footprint, and capital performance than one large system. Another advantage of two small systems is redundancy. If one system goes down, you will still be at half of your manufacturing capacity instead of halting production completely. Multiple smaller systems will help you manage your capex budget, too, because you can start with just one and then add as needed. When considering new production equipment, it’s important to keep in mind the difference between batch size and throughput. A particular batch size may be important to matching upstream or downstream production lot sizes. But to meet production needs and optimize factory output, you also need to account for throughput, and consider how you can achieve the total manufacturing volume needed to receive the best return on your investment. To learn more about raising your throughput and optimizing your system across different manufacturing volumes and demands, read our use case, Real-World Thin Film System Configurations for Compound Semi Applications. How Can You Improve Factory Output in Thin Film Deposition? What are the Benefits of Oxide Films?